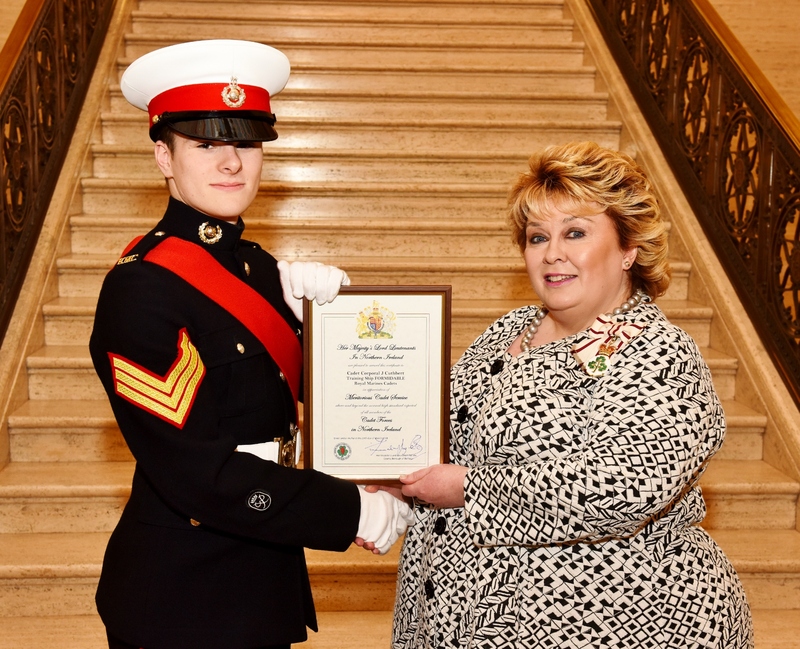 At a presentation in Stormont in March 2018, Cadet Sgt Jonathan Cuthbert – Royal Marines was commissioned as the Lord Lieutenant’s cadet for 2018/19. Pictured with the Lord Lieutenant Mrs Fionnuala Jay-O’Boyle. 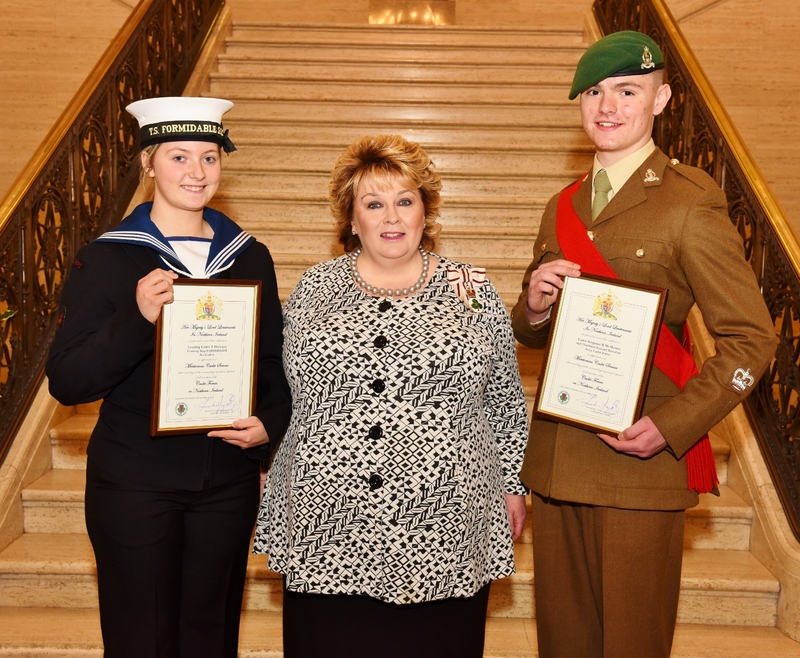 At a presentation in Stormont in March 2018, Leading Sea Cadet Toni Dixon and Cadet Sgt Major Ryan McMaster were commissioned as the Lord Lieutenant’s cadets for 2018/19. Pictured with the Lord Lieutenant Mrs Fionnuala Jay-O’Boyle.